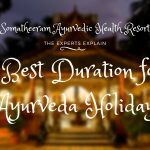 Anantya Resort with Astitva Ayurvedic Center offers authentic Ayurveda suitable for the guests who seek authentic intensive cures. The Ayurveda centre by the retreat cooperates with Pankajakasthuri Group renowed for their experience and expertise in Ayurveda. The Pankajakasthuri Group runs an ayurveda hospital and Ayurveda Medical College as well as produce herbal medicines. The herbals (as many as 740 species!) are grown in a 13-acre herbal garden owned by the group. The founder of the group – Dr. J. Hareendran Nair received Padmasree Award (in 2012) in recognition for his contribution to the promotion of Ayurveda. 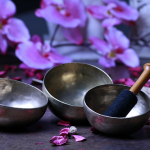 The high quality assured by the Pankajakasthuri Group is reflected in the health and wellness treatments offered at the ayurvedic spa of the Anantya Resort. Oasis of peace right by the lake with views of the Western Ghats surrounded by tropical gardens. Experienced Ayurvedic doctors and therapists at the Ayurveda Centre. 5.00 out of 5 points, based on 1 votes.